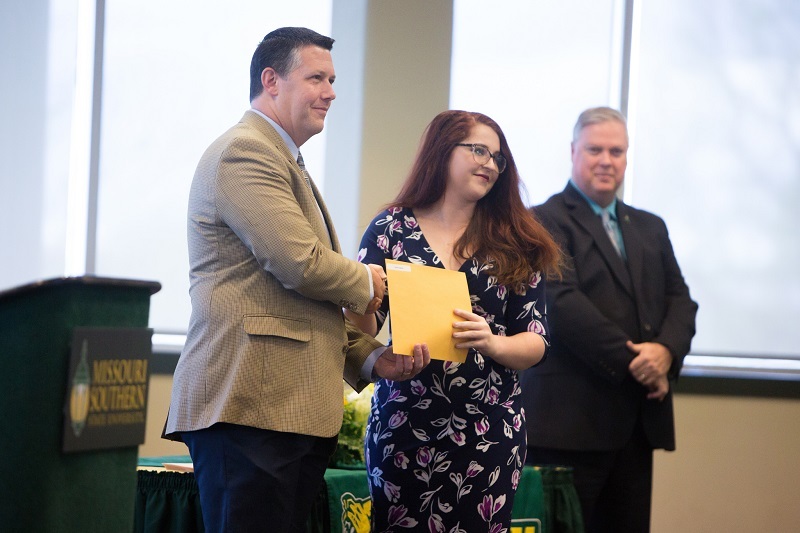 Twenty-five students were recognized during the 26th annual Glenn D. Dolence Leadership/Service Recognition Assembly, held April 5 at Missouri Southern. Tori Page, senior chemistry/math major from Joplin, received the Leader of the Year Award. Student Services and Omicron Delta Kappa (ODK) at Missouri Southern sponsor the awards which are presented to graduating students who have demonstrated outstanding leadership skills on campus and who have made a difference in the areas of campus organizations, student employment, student services or athletics. PreviousStep It Up Challenge: Making Progress!